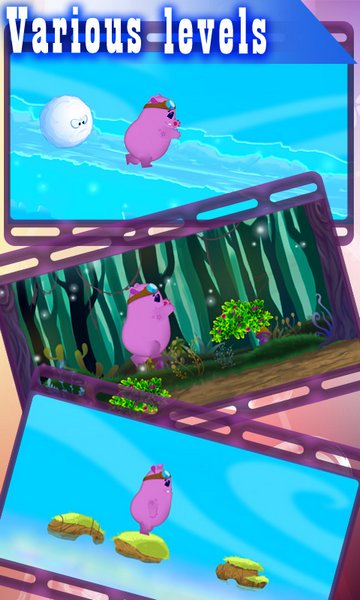 Poppet, a 2D scrolling game, welcomes you with a colorful purple character wearing goggles into what looks like a scene out of a food-induced slumber in the woods. The colors are bright and the animation is seamless, but simple. The music is generic in an unobtrusive way, which fits the game. 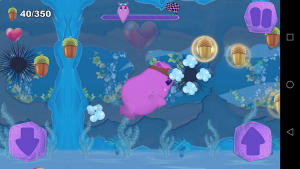 Different levels offer different ways to navigate the game. Poppet has two modes: simple and normal. Upon selecting the mode, you are instructed to tap on the right-side of your screen to jump up and to tap on the left-side to duck. This is only for the first level. Upon successful completion, a new level opens. 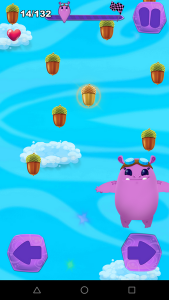 Poppet takes the scrolling game concept from level one and changes it a bit, with some levels scrolling horizontally and others vertically, with the user tapping left and right to avoid obstacles, bounce off clouds, and collect acorns. The objective is to collect acorns and other valuables while avoiding obstacles. The game begins with six hearts on the upper left-hand screen. Each heart is akin to a life, as one is deducted every time an obstacle is not avoided. Obstacles change from level to level: thorn bushes, snowballs, and other less-than-lethal obstacles appear throughout. Swim underwater & jump on clouds. Gameplay is smooth… but a bit too slow. Playing in simple mode felt like time was moving backwards. Each jump initiated leaves your character lingering in the air waiting on gravity to do its job. You can also press down to hasten your drop, but it’s still sluggish. Normal play is a little faster but still leaves the user anticipating the end of each level instead of enjoying the game. To ensure that this was not my experience, I let my elementary school aged kids play and they reported the same thing: the game is way too slow and easy, even in normal mode. The difficulty does rise with each level, but your patience will be tested by the first few levels and their anemic play. As such, I think this game will do just fine with toddlers but not with older kids or adults. 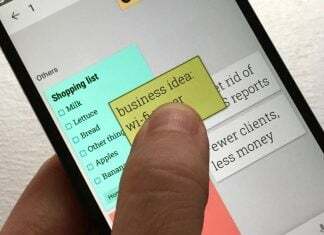 Navigate by jumping, ducking or from side to side, based on the screen’s orientation. Poppet is a cute and fun game. The gameplay speed is a bit too slow for the average user, but this is perfect for kids or new Android gamers. The different levels and the different ways you interact with Poppet and your environment make it a worthwhile game for all, but especially for younger or inexperienced Android users. 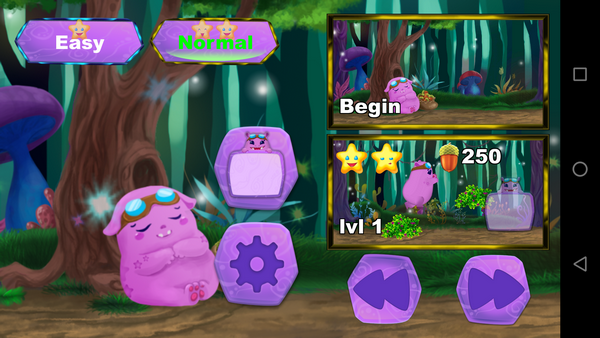 Poppet is a fun 2D game that offers a variety of levels and ways to interact with your character and surroundings. The game is attractive and simple but suffers from slow gameplay. Angelino who loves reading, writing, photography and electronic toys. Android and GNU/Linux aficionado. Coffee flows through my veins.